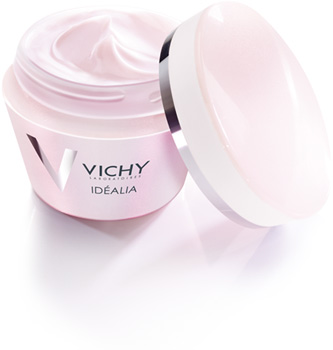 Vichy launches in March 2012 Idealia, a new moisturizing range, claiming to create an ideal skin. This new launch of Vichy seems dedicated to women around 30 looking for a first anti-wrinkle cream. This range is made of two formulas, a Dry Skin and a Normal to Combination Skin versions, both built around a classical, affordable yet efficient structure, joining Croda Arlacel 165 to Carbomer, associated with modern silicone technologies (silicone elastomers) for a velvety skin texture. The concept is built around the “ideal skin”, supported by a global study about women expectations. Vichy’s answer is brought through a fermented tea extract claimed to be used at 3%, the exact percentage used by its supplier Sederma to prove its efficiency. This trick allows Vichy to use directly the results of the supplier’s Kombucha file in Idealia communication. It is built around a star ingredient, Kombucha extract used at 3%. Regarding its supplier data sheet, it could be used alone to reach the “ideal skin” parameters. However, it is also associated in the formula with other active ingredient detailed below, that complement Kombucha activity : anti-wrinkle agent, keratolytic agent, anti-oxidant agent, soothing agent. To summarize, it is said to “improve firmness, smoothness and complexion”. – Tocopheryl Acetate : Vitamin E derivative, Vitamin E being known for its anti-oxidant properties. – Capryloyl Salicylic Acid : this molecule is an active ingredient owned and patented by L’Oréal (mother company of Vichy). 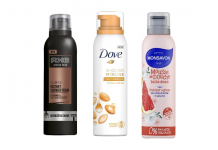 One of the first patents issued on it is the FR2607498, but L’Oréal owns much more patents on this technology. As described in this article, Capryloyl Salicylic Acid is an ester of Salicylic Acid. It has more or less the same properties as Salicylic Acid, but unlike Salicylic Acid that is water soluble, Capryloyl Salicylic Acid is oil soluble. This improves its ability to penetrates the upper layers of skin, and its efficiency as a keratolytic agent. It is thus an interesting active ingredient in anti-aging products, to help remove dead cells and renew skin. O/W emulsion, emulsified with Croda Arlacel 165 (PEG-100 Stearate (and) Glyceryl Stearate) helped with Cetyl Alcohol as co-emulsifier, thickened and stabilized with Carbomer. The oil phase is made of Caprylic/Capric Triglyceride, Pentaerythrityl Tetraethylhexanoate, Butyrospermum Parkii Butter, Myreth-3 Myristate, Synthetic Wax, Octyldodecanol. The aqueous phase is contains Glycerin, Propylene Glycol and Caprylyl Glycol. The formula contains also pearls (Mica) and dyes (CI 17200, CI 15985 and CI 77891 corresponding to Titanium Dioxide). Pearls participate to the action of the formula on improving complexion and glow. The formula is protected against microbiological growth by Phenoxyethanol, helped with co-preservatives : Caprylyl Glycol, Capryloyl Salicylic Acid, Propylene Glycol. The formula also contain Sodium Hydroxide as a pH adjuster. O/W emulsion, emulsified with Croda Arlacel 165 (PEG-100 Stearate (and) Glyceryl Stearate) helped with Cetyl Alcohol and Stearyl Alcohol as co-emulsifier, thickened and stabilized with Carbomer. The oil phase is made of Pentaerythrityl Tetraethylhexanoate, Myreth-3 Myristate, Isopropyl Palmitate, Octyldodecanol, Synthetic Wax. The aqueous phase is contains Glycerin, Alcohol Denat., Pentylene Glycol and Caprylyl Glycol. To improve the touch of the formula, and make it penetrate faster, the formula contains also a powder, Methyl Methacrylate Crosspolymer (Sensient Covabead LH85), claimed to have high oil/water absorption. The formula is protected against microbiological growth by Phenoxyethanol, helped with co-preservatives : Alcohol Denat., Pentylene Glycol, Caprylyl Glycol, Capryloyl Salicylic Acid. 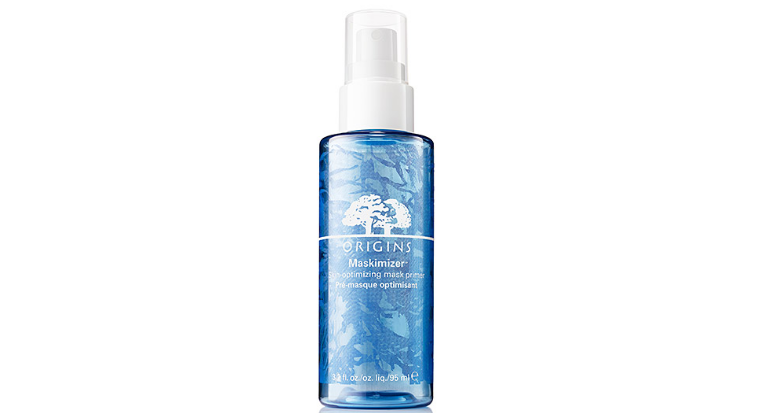 The Dry Skin formula has a richer texture than the Normal to Combination Skin version. 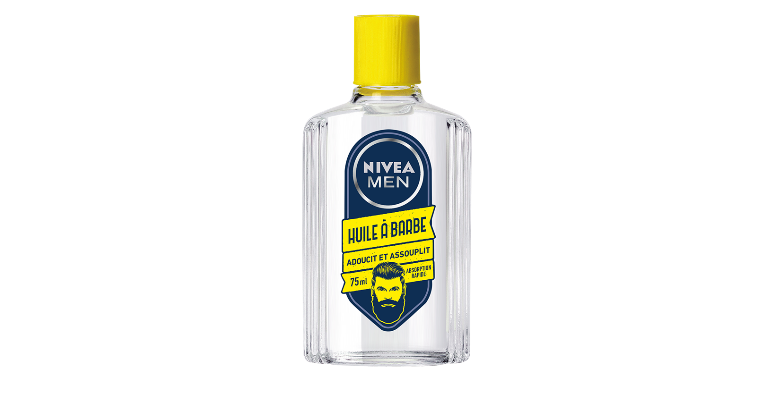 It contains richer oils (Caprylic/Capric Triglyceride and Butyrospermum Parkii Butter) and a silicon gum (Dimethiconol) that gives a heavier feel on skin. 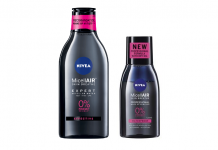 While the Normal to Combination Skin formula is lighter thanks to Alcohol Denat. – improving freshness -, a light fatty ester (Isopropyl Palmitate), a silicone gel (DC 9041) and a powder (Methyl Methacrylate Crosspolymer) that “dries” the formula, and improves the skin penetration.